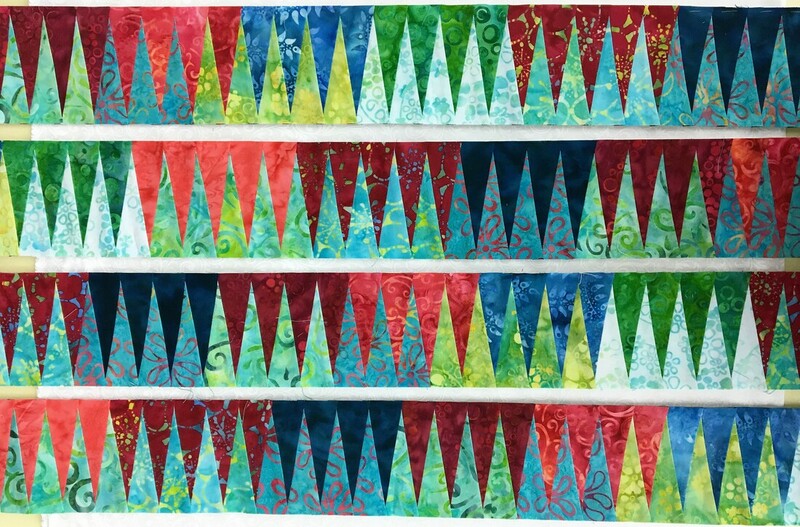 We choose this pattern for our exciting Block of the Month for 2019. Don't let the 5* scares you off! 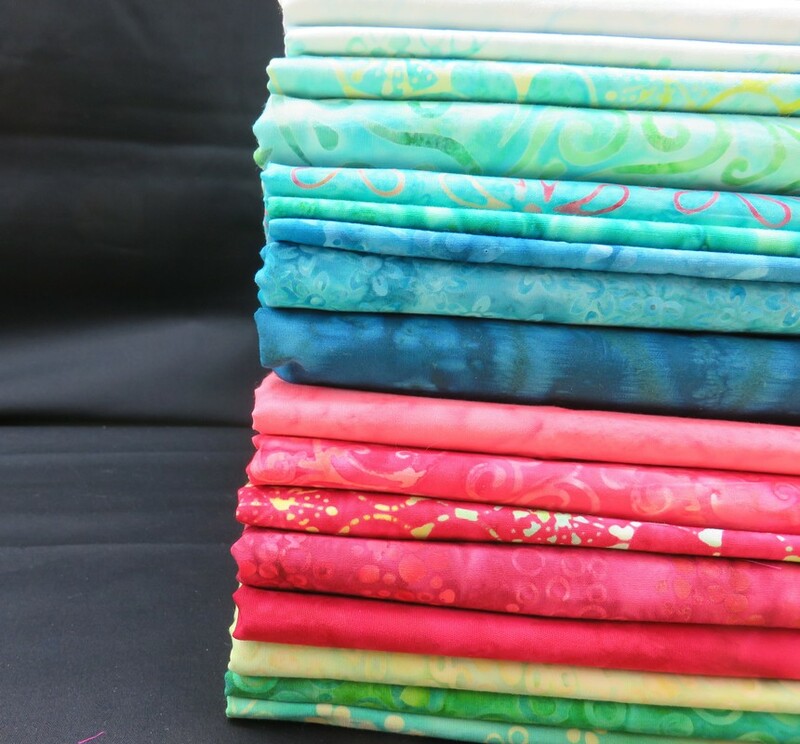 We'll guide through this glorious pattern step by step. 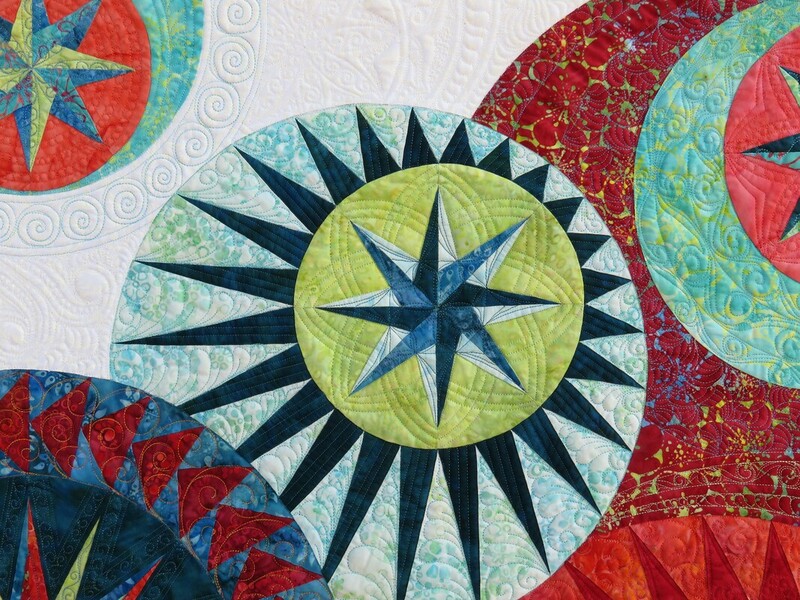 And with a supporting Facebook group, specially for "Dream Flight" you will enjoy making this fabulous quilt. 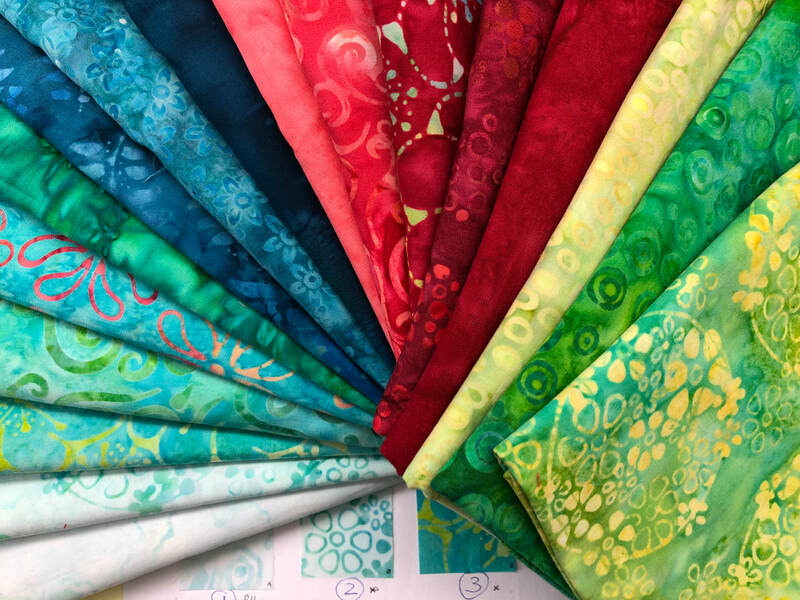 Designing a new quilt, or in this case, re-designing one of the all time favorites, Fly Away, starts with selecting and choosing the right fabrics. Which is not always easy. The plan was staying close to the original colors of "Fly Away" but that was a little hard to do. 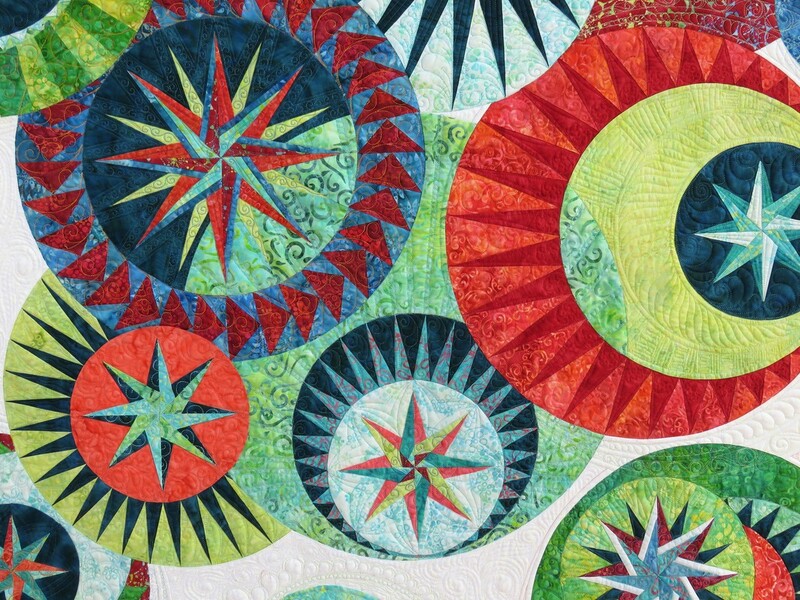 Coral is one of my favorite colors and to combine that with soft green, blue and aqua makes this quilt stand out color wise. At this picture on the top left I was playing with all kind of combinations until I'd made up my mind and choose the final colors which made me happy. And I think I've chosen the perfect colors! 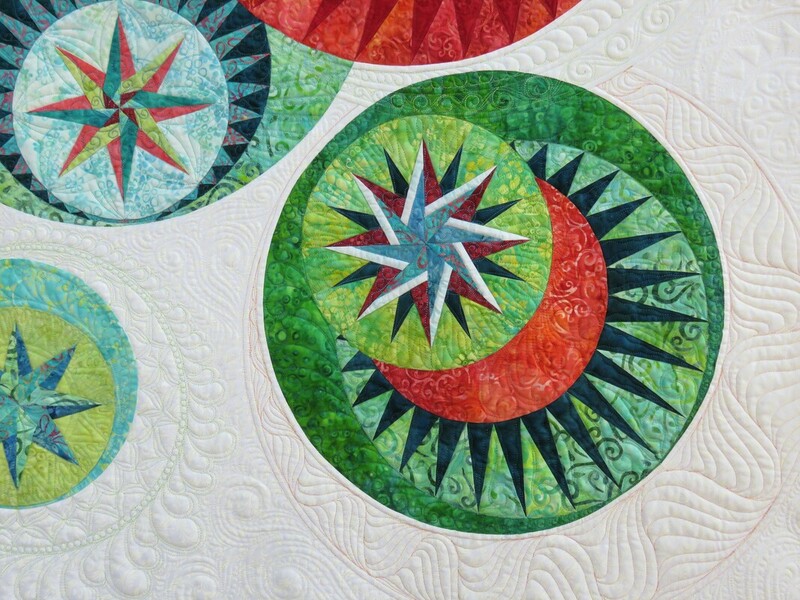 ​You can sign up for our Block of the Month (BOM) program at your favorite or local quilt shop who offers our ‘Dream Flight’ BOM or with one of our Authorized Teachers who are offering the program. 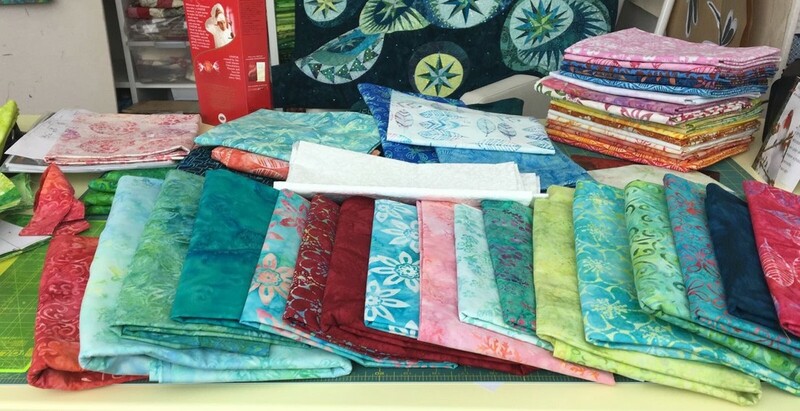 Some stores will offer sit-and-sew sessions, but our BOM is designed to allow you to work independently and at your own pace.